Apart from just posting on Instagram, are you using any tools to make marketing your plastic surgery content a bit easier? Did you know you can schedule Instagram posts? Research hashtags? Make images easily? Take your Instagram plastic surgery marketing to the next level with the 10 tools. Hootsuite is an all-in-one social media management platform that makes scheduling and posting all of your social media content a breeze. A free account gives you access to connect 3 social media profiles and schedule up to 30 posts per month. Sign up for a paid account to gain unlimited scheduling, add more accounts, additional analytics and more. Take care of all of your social media accounts in one place. The best part? You don’t have to write your Instagram captions on your phone. This will publish to Instagram directly. If you want to schedule ahead of time, make sure you have a business profile and it’s connected to a Facebook page. Do you want your followers to click on links? Make it easier by using LinkTree. LinkTree will bring your followers to a landing page filled with the links you want them to click on. This allows you to gain traffic from more than one link on your Instagram account. If you have a popular blog or were featured in a plastic surgery journal, include a link to both! Crowdfire is an app that helps you manage your followers. It will show you who has unfollowed you, who doesn’t follow you and who isn’t active so that you can unfollow them. It will also give you suggestions for people to follow who might be interested in your page. Want to use the best hashtags? 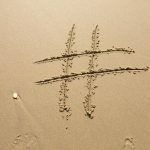 Toptager.com will help you find the top hashtags for certain keywords. It will also give you information about trending searches, and the most popular hashtags. This will help you expose your plastic surgery content to more people. If you want to grow your account without the hassle of doing it yourself, Upleap will grow your followers after you provide them with what type of followers you would like. You just provide them with relevant pages to yours, hashtags that you think apply to you and more. From there, they engage with new followers to help you gain social influence and more followers. They offer a free 3-day trial. Gain important insights into your follower demographics. This piece of software will tell you more information about your followers so you can better cater your content to them. Find out your customer’s ages, gender, location and more information to get to know them better. Grow your followers by using Combin to find accounts and posts from your target audience using hashtags, locations and more. You can also perform single and mass follows, likes, unfollows and commenting. Grow your followers in the easiest way! 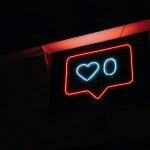 If you want to run a better analysis through your Instagram account, Social Insight will provide you with deep details of your account’s growth, engagement, and interactions. It will also give you insight into the best time to post content and gain followers. It will also give you information for average engagement. Use the analytics to improve your future content. 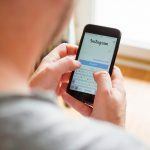 If you would like more help with Instagram or help to grow your account, consult with our experts at Practice Affiliate to learn more. Give us a call or fill out our online form to connect with us.